Kirstie and Josh's wedding was so wonderful and amazing to be apart of! I went away feeling like I've known this couple my whole life and was so sad to see them head on back to Kentucky. 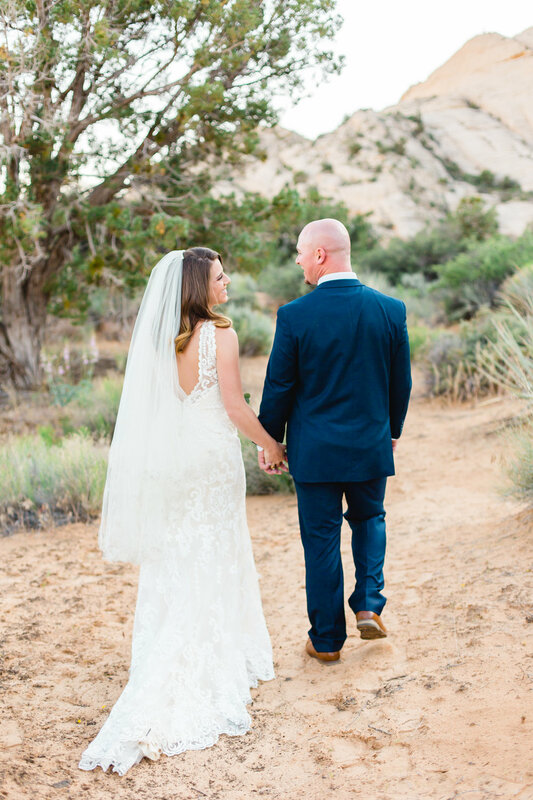 This blog/wedding post I wanted to go a different way and have it from the brides point of view to help out other brides that are heading to Southern Utah to get married. 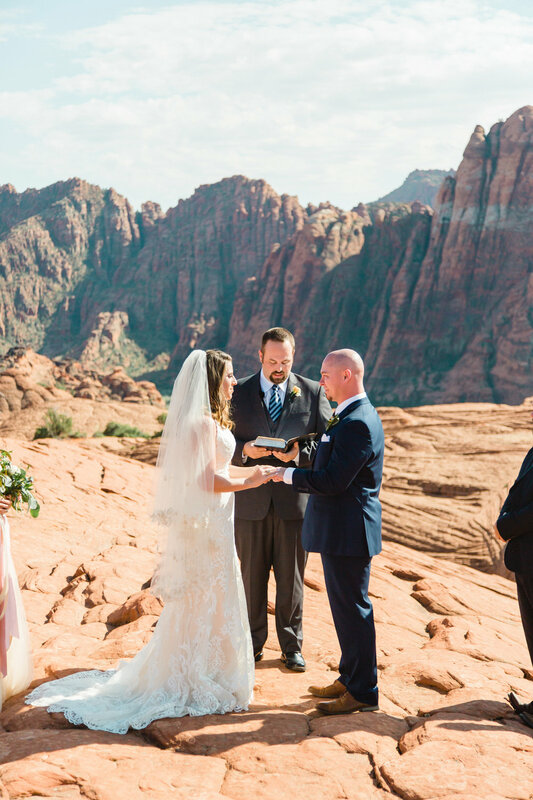 Josh and Kirstie choose to have a destination wedding in Southern Utah at the Petrified Dune in Snow Canyon State Park, where we are know for our red rocks and desert scenic desert views. 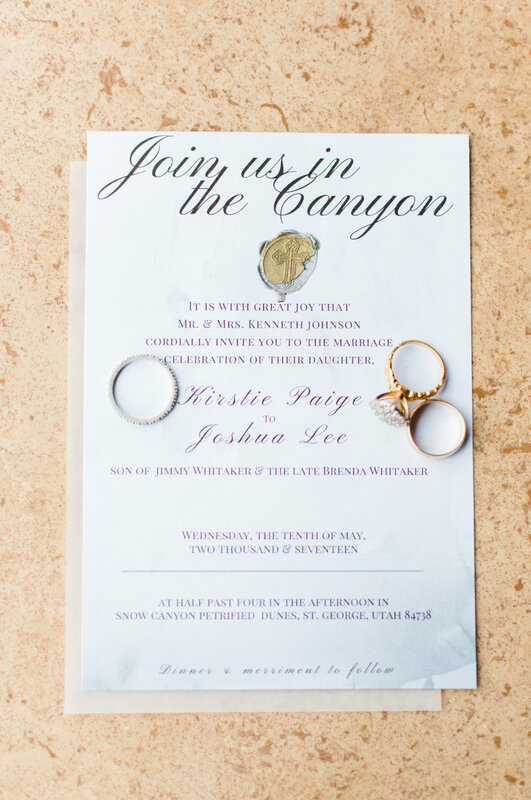 They wanted and intimate setting with just close family and friends that they flew out for this special occasion. 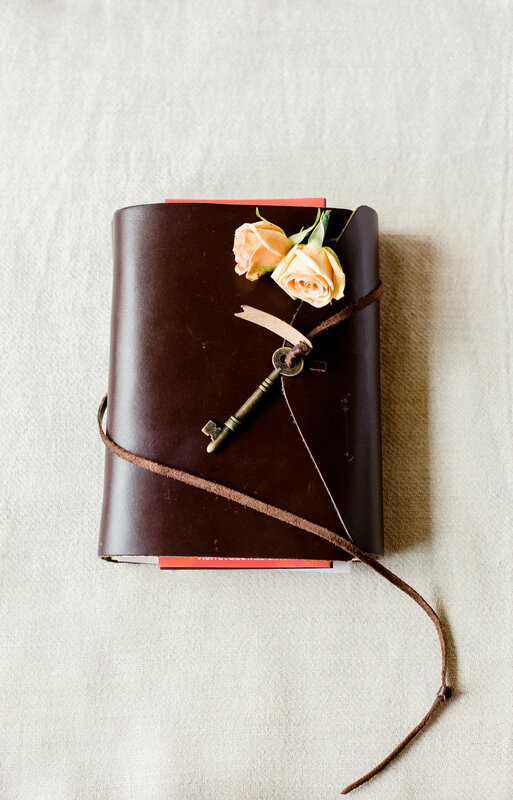 Their wedding showcases the beautiful locations down to the personal details of the bride and groom. 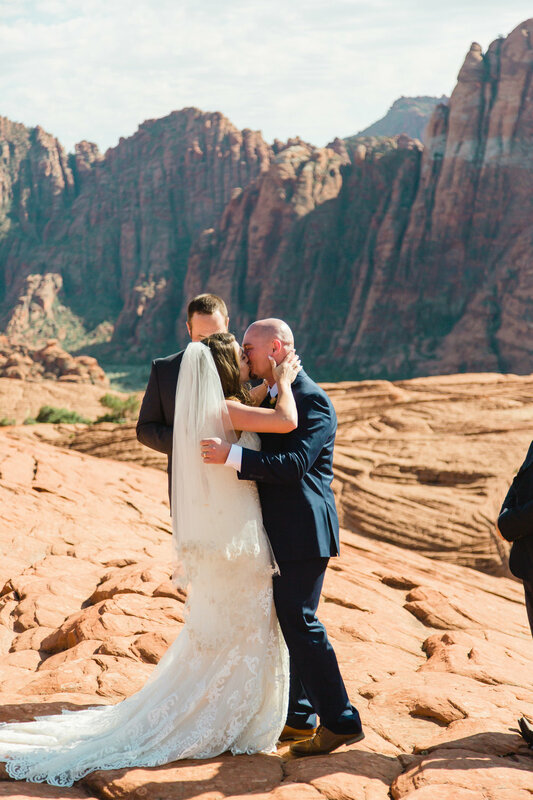 We choose to marry in the secluded Snow Canyon State Park, Utah. Being all the way from southern Kentucky, we relied on social media, youtube & Instagram to make our decision. After watching the Katy Perry music video where this film was taped, we instantly fell in love with the area & knew it was the spot for us. So, we trusted our guts & nailed down our permit. 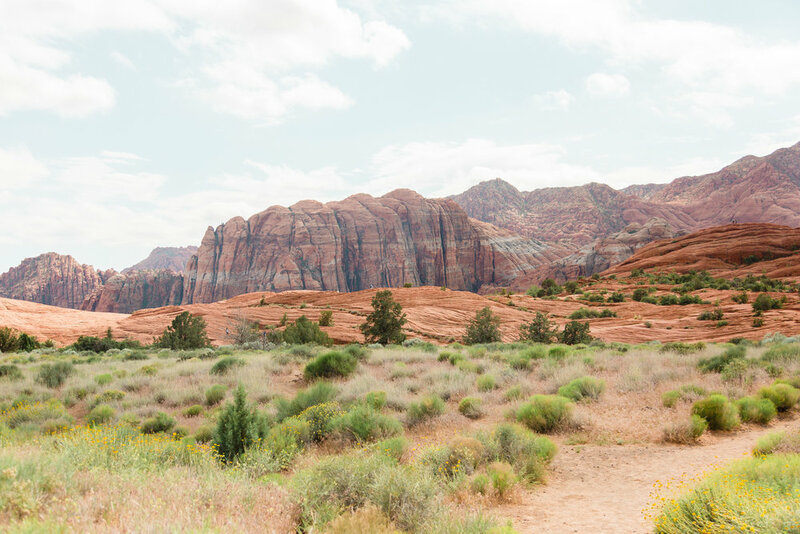 When we arrived in Utah, we visited Snow Canyon the rainy day before to choose a ceremony spot. Our guests stood around us which eliminated the stress of bringing chairs up to the area. We ended the night enjoying a sunset reception at The Entrada, which was only a short drive from our ceremony area. 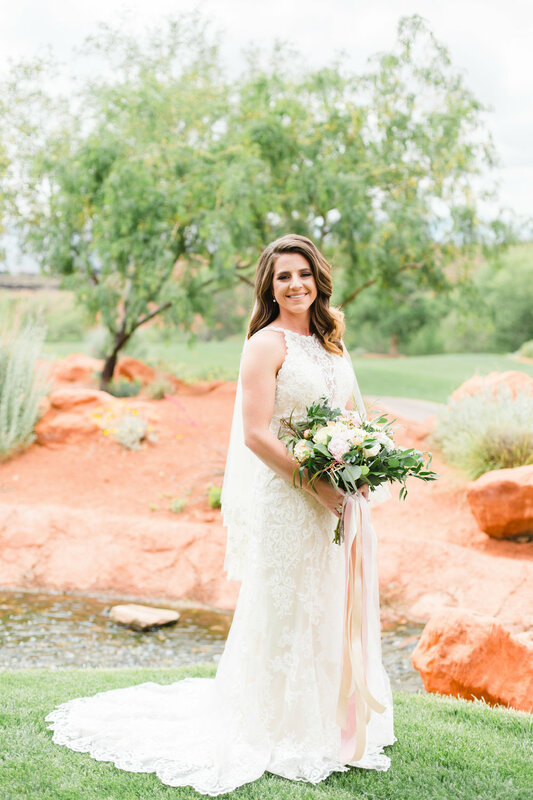 The Entrada provided a beautiful background to Snow Canyon as the night melted into a romantic outdoor setting with bulb lights strung across the dance floor, a secluded bride & groom table, & cactuses to set it off. 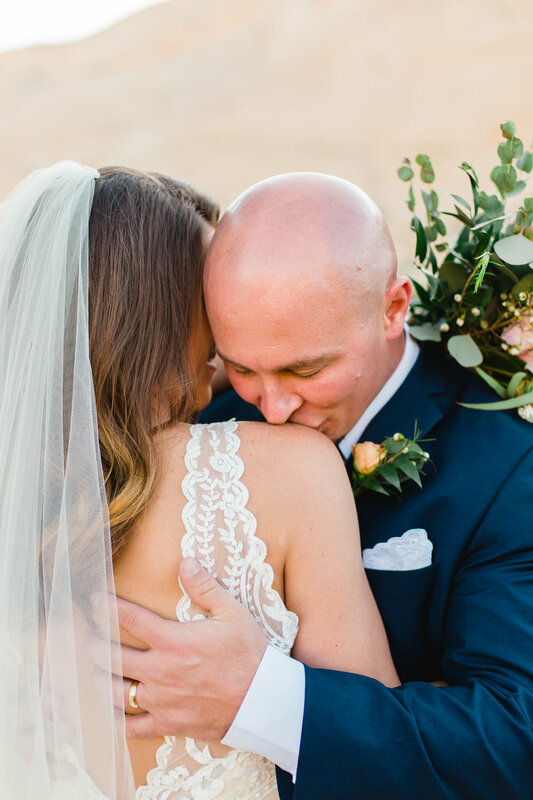 We shared our first dance on the event lawn surrounded by our closest family & friends. 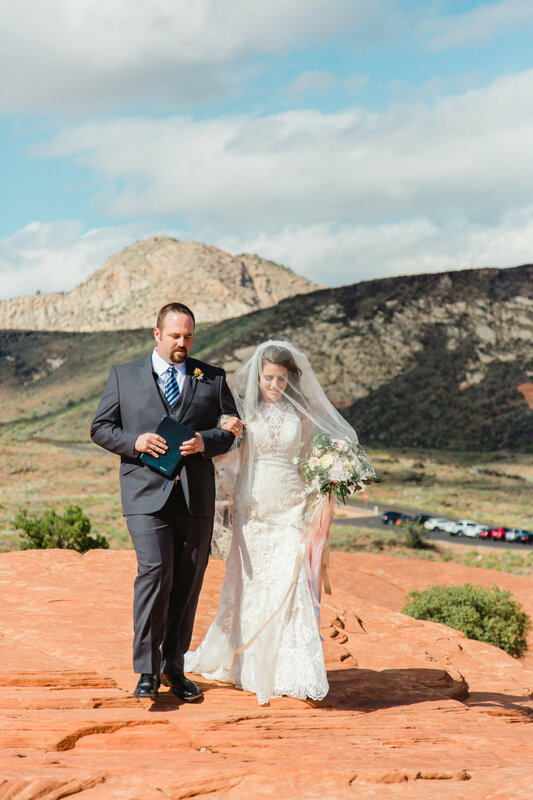 Groom: My favorite part of the day was…you walking to me. That's the moment that I came to the realization, you were about to become my wife! 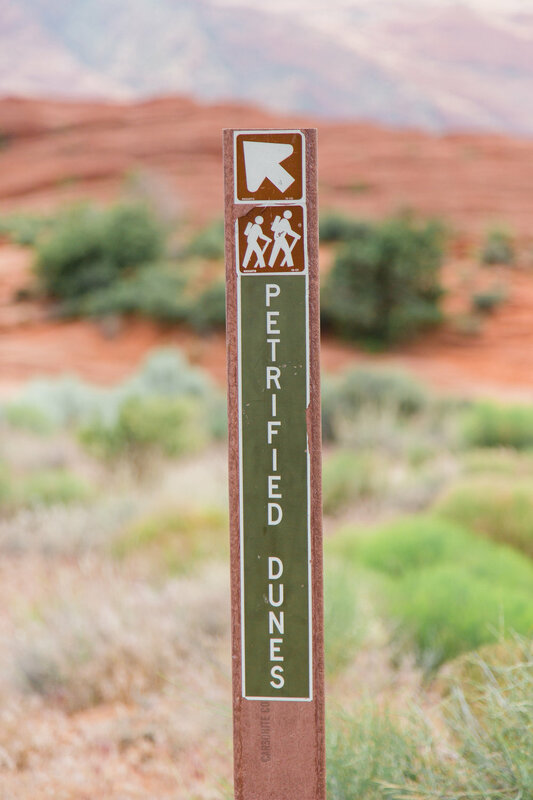 During the moments of you walking down the petrified aisle, everything faded & there was only you. 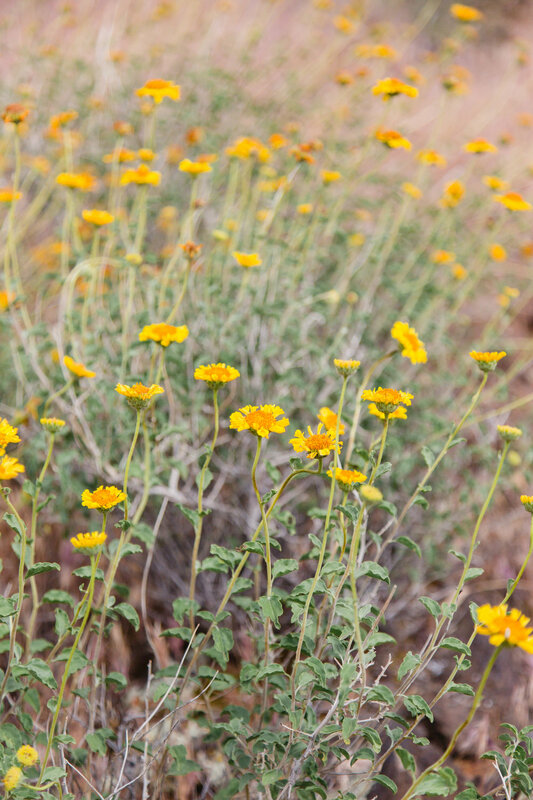 My anxiousness and nervousness melted away, exposing the way I truly felt, ready. 1. Utilize Instagram. I booked our wonderful photographer & videographer through instagram. I loved having a large platform to view their work & to get to know them as well! 2. Don’t fret over the small things. After looking at the location spot, we knew instantly that chairs were not ideal & would be more of a hassle to pack up the canyon. So, we easily wrote that idea off & decided that standing would be just fine. 3. Email your vendors: I would forget details over the phone, so being able to refer back to emails for information was easiest! 4. Keep in touch with vendors. Our photographer went beyond her job title. We instantly fell in love with her. 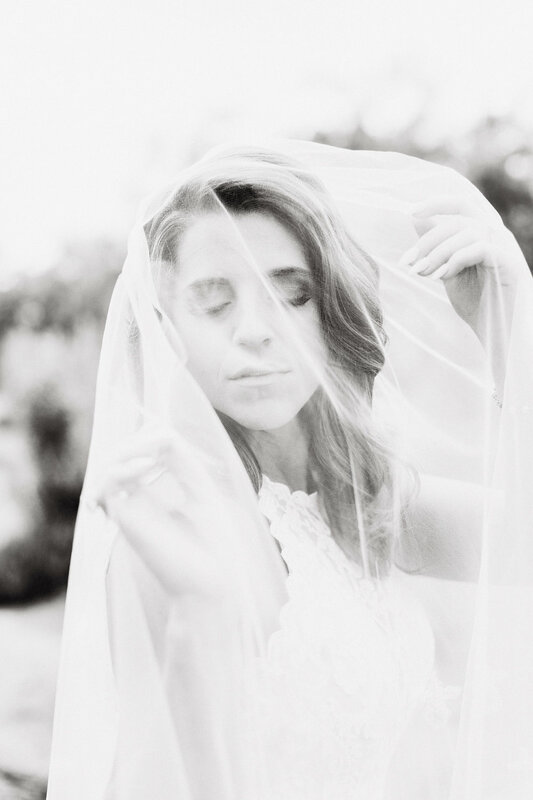 She helped me choose several vendors & guided us through the process of planning, locations, etc. 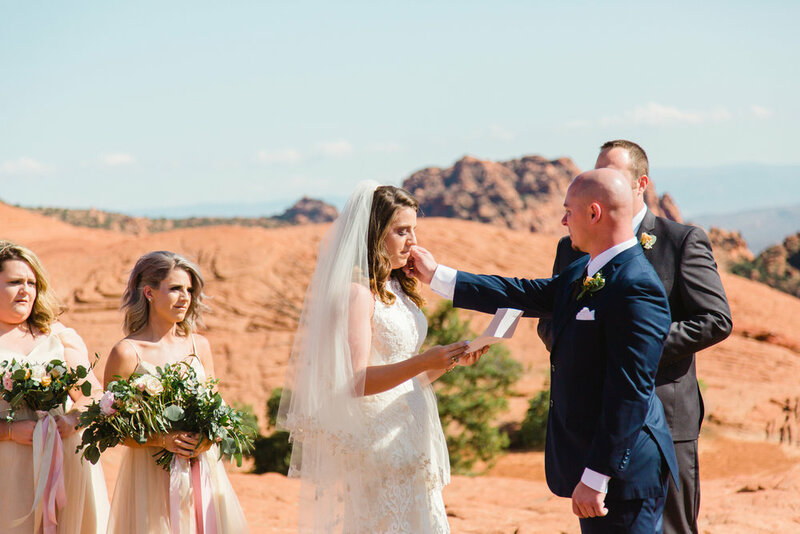 The wedding coordinator at the Entrada, Mike Hobbs, was a gift from heaven. Josh & I took time to call him & email him throughout the planning process and we built a reliable & personal relationship with us. When we arrived there & finally met him, he treated us like family & went above and beyond for us. If your good to your vendors & give them the freedom at what the do best, they will be good to you!